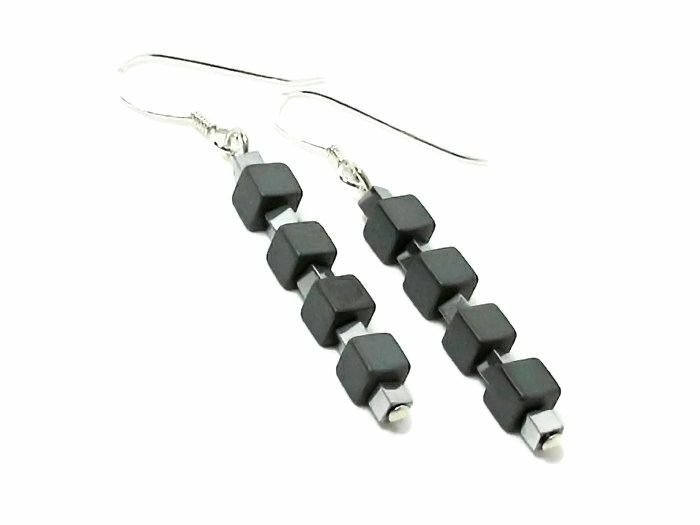 For these handmade black & silver geometric design earrings I've chosen Hematite cube beads. 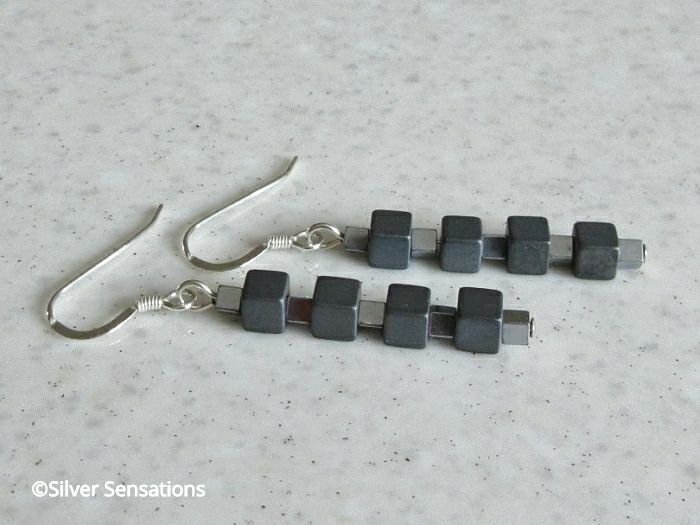 I used 4mm square matte Hematite cubes with a smaller 2mm silver Hematite cube bead in between each one. These silver beads have been electroplated with Sterling Silver. They hang from strong Sterling Silver headpins & high quality ear wires & have a drop of 1.5" from the top of the coil. 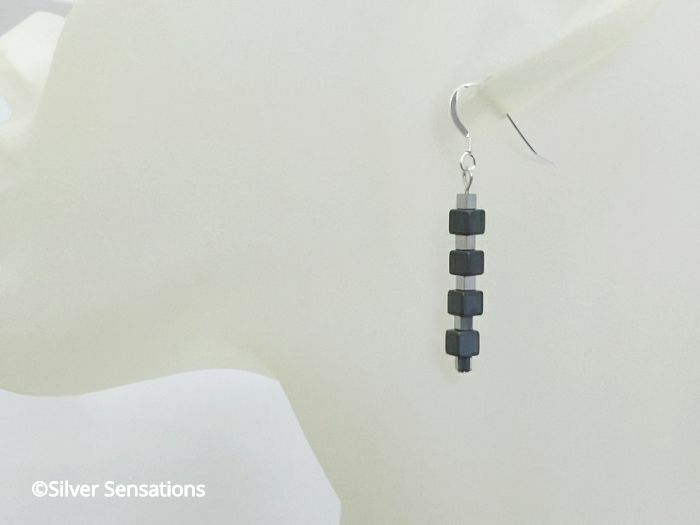 They handmade earrings are a nice easy length to wear from day right through to evening & the silver cubes really shine & catch the light with every movement. I buy all of my guaranteed genuine .925 Sterling Silver from reputable Silversmiths in the UK, so I can be sure that I'm using only the highest quality for your piece of jewellery.